Thunder player #9 Rylee Leger celebrates with her teammates after scoring a point Friday night. 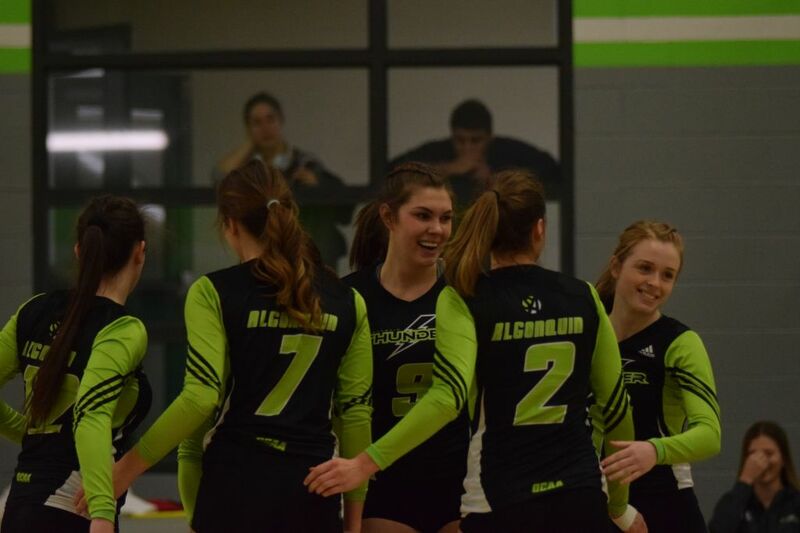 After going one for two in last weekend’s matchups the Algonquin Thunder women’s volleyball team was back in action Friday night as they upset the Canadore Panthers, who came into town with an 11-2 record. Heading into the game, the Thunder held a season record of 9-4 and were 7-3 in their last 10 games, which was good for fourth place in the east standings. The Thunder managed to grab three consecutive sets and sweep the Panthers. Below are the sets for each of the three sets that were played. Although capturing all three sets for a clean sweep, head coach Everton Senior said he wished they had played a better game than the one he saw on the court. “We did what we needed to do to win but I honestly thought we played an okay game. I didn’t think we played as well as we could have,” said Senior. While en route to a big victory, Senior believes that there are still areas for the team to improve on from last night’s game moving forward. Senior still gave his team full credit on still capturing the win even though it wasn’t in a preferred fashion. 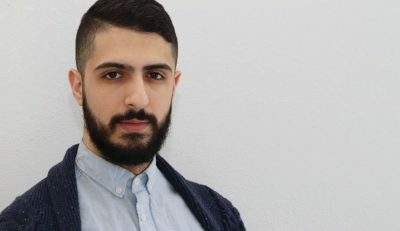 The women will now faceoff against Fleming College Saturday afternoon at 4 p.m.
Women’s Thunder crush Panthers Reviewed by Kened Sadiku on January 27, 2019 .